I’ve been wanting to write this blog since May last year, but both time and various issues have forced me to postpone it a number of times. But finally we are here! I’ve worked on a number of Screen Personas implementations and one of the things that i find a lot of projects are lacking in Screen Personas and also in general UX projects such as SAPUI5 or Fiori is the measure of success. I want to show you how to measure the time spent in transactions more precisely on a larger scale than just sitting next to a person with a stopwatch. Equally important to measure after is measuring before your implementation, so you have a baseline. What I will show you today is a Screen Personas script that works in SAPGUI for Windows, so you will be able to measure your users even before they start with Personas. Because let’s be honest, it’s literally impossible to persuade a group of users to use the webgui for an extended amount of time without a proper carrot and telling them you need a baseline for success simply isn’t cutting it. One for actually logging the measurement. I’ve added all the source code to Github You can use Lars Hvam’s excellent tool ABAPGIT to get it into your SAP system. Once that’s out of the way, then we are on to the fun stuff. 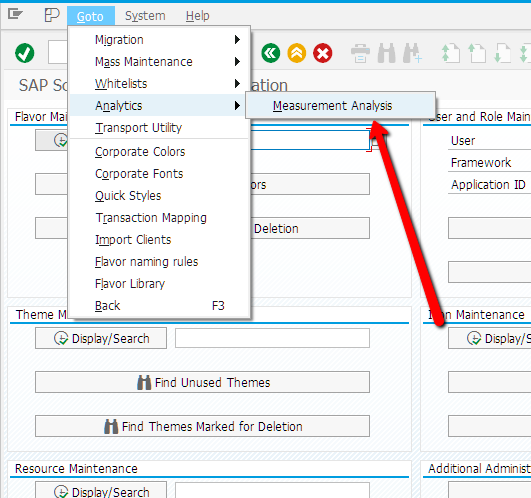 For the measurement tools to work in SAPGUI For Windows, you still need to create a flavor, you don’t change anything in the flavor except the execution of measurement analytics. In my example i will be using SU01. So head on over to SU01 in your system and go to the change screen of a user. Create a new flavor and create a new script called “Start”. //Get the timedifference between the start and stop. That’s all the scripts we need. Now go into edit mode on the flavor and set the start script into the OnLoad event. Secondly we need to replace the save button with a new scriptbutton with the same icon, this is also due to a limitation in SAPGUI for Windows. Save your entries and go back to the /personas/admin main screen. Click the button. Create a new measurement point called TIMEINTRANSCTIONGUI. Now that’s all folks! Easy Piecy. Now when you go in and edit a user in SU01, the timer will start as soon as you enter the transaction and stop and log the time once the user saves his work, meaning a successful process. To view the results you go to the /personas/admin transaction and click GoTo –> Analytics –> Measurement Analysis. Add TIMEINTRANSCTIONGUI in the measurement point input field and press search. You will see all the successfully logged measurements and you can filter the table and export to Excel to make some analytics over there. This last bit is optional if you want a bit funky looking stuff for your measurements table inside Screen Personas. 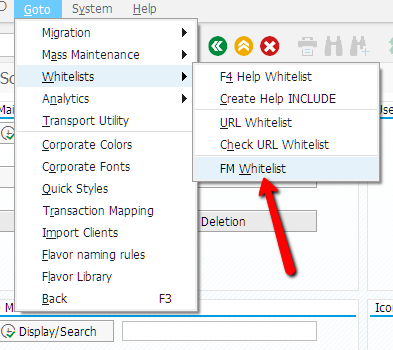 Go to the /personas/admin transaction and click GoTo –> Analytics –> Measurement Analysis. Add TIMEINTRANSCTIONGUI in the measurement point input field and press search. // adjust it so that the set's last row is the table's last row. // Populate the row information. // Break after the first blank row - the values usually contain all underscores like "____" for a 4 character column. Go the the very last line of the script and use the Object selector to select your HTML viewer. Substitute the ID of my HTML viewer with yours otherwise this won’t work. You want to make sure you are pointing to the right SAPUI5 source file. Now go back to edit mode of the flavor and add a new script button and call it “Load Graphics”. 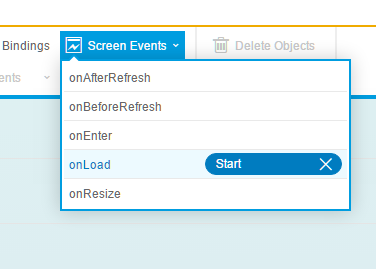 Add the script to the click event. You can filter the table and then press the load graphics again to show the details you want. This shows you all the entries with an average cut across it. That’s all from me for this time, i really hope you will use this as i believe it can be an essential part of measuring the success of your Screen Personas project as well as really persuading doubters that this excellent tool is worth while. Dominik Ofenloch from the Screen Personas Development Team for giving me a sample of the code to add the measurements inside SAPGUI. Sebastian Steinhauer for the original blog, which inspired me to do this. Great work Jakob, thanks for sharing. I think it’s so important to get proper metrics on user behaviour, rather than just guessing….